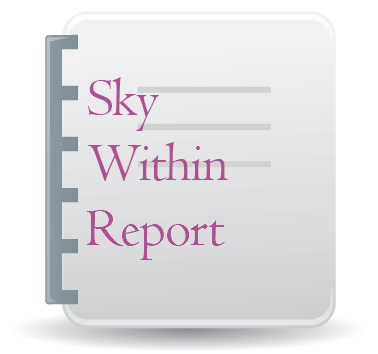 Sky Within is a unique personality computerized report as its text reads like a narrative. Steven Forrest is one of the finest practicing astrologer/authors working today. His sense of an individual’s character as symbolized in an astrological chart is deeply intuitive. His writing reflects his caring sense of the unique spiritual nature of each being and their important place on this planet. He gently guides the reader through a very personal introduction to themselves, often identifying characteristics, talents, and potential that a person may not have previously expressed, but innately felt. 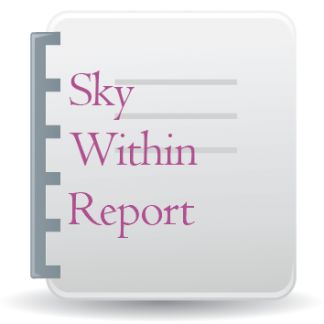 A Sky Within computerized report is like a conversation with a trusted friend. It is filled with truth and presented in a manner that allows the reader to acknowledge those truths about themselves that may not be readily revealed to even the people closest to them. Please read the full description and see the SAMPLE report below before ordering. 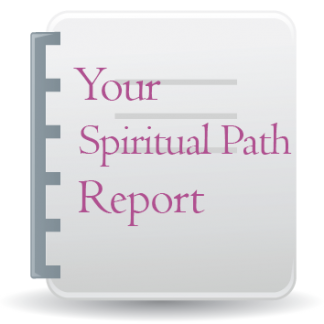 This report is recommended for those seeking spiritual reassurance and internal guideposts to universal harmony. 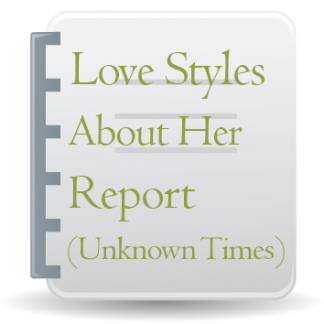 Features/Limitations of this report: Please always keep in mind that these reports are computerized. 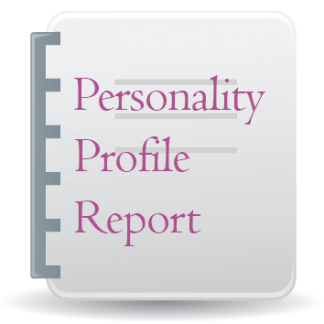 They are personalized to your birth data so that they are written about your unique personal chart. 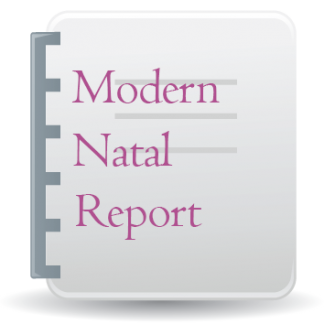 This report differs from many other natal reports in that it doesn’t list the influences one after another. However, it does discuss astrological elements which not all customers want to read (they are instructional for those people learning astrology). Please see the sample before ordering, as it gives a strong idea of the format. See a SAMPLE of this report. Pay with your credit card or debit card: We accept payments through a PayPal shopping cart. This is considered a safe and secure service that allows our readers to pay instantly online using their credit cards, debit cards, or e-checks. #APW $4.95 US Sky Within computerized report delivered through email typically within 24 hours of receipt of payment AND full information required. To order, enter your name (can be your first name only or simply an initial if desired), birth date (month, day, and year), birth time (example, 7:21 PM – do not adjust for time zones), and birth place (city, state/province or country). Freud divided the human mind into three compartments: ego, id, and superego. Astrologers do the same thing, except that our model of the mind differs from Freud’s in two fundamental ways. First, it’s a lot more elaborate. Instead of three compartments, we have ten: Sun, Moon, and the eight planets we see from Earth. As we’ll discover, each planet represents more than a “circuit” in your psyche. It also serves as a kind of “Teacher,” guiding you into certain consciousness-triggering kinds of experience. The second difference between astrology and psychology is that astrology’s mind-map, unlike Freud’s, is rooted in nature itself, just as we are. The primary celestial teacher is the Sun. What does it teach? Selfhood. Vitality. How to keep the life-force strong in yourself. If the Sun grew dimmer, so would all the planets — they shine by reflecting solar light. Similarly, if you fail to stoke the furnaces of your own inner Sun, then you’ll simply be “out of gas.” All your other planetary functions will suffer too. How do we learn this teacher’s lessons? Start by realizing that when you were born the Sun was in Cancer. Opening the inner eye, mapping the topography of consciousness, learning to express compassion — these are Cancer’s evolutionary aims. To assist in that work, Cosmic Intelligence has cranked up the volume on the Crab’s ability to feel. No other sign is so sensitive — nor so vulnerable. A certain amount of self-defense is appropriate here; after all, this world isn’t exactly the Garden of Eden. Trouble is, legitimate self-defense can degenerate into shyness or a fear of making changes. You really do care about the hurts that other beings suffer. That’s good news. You also have an instinctive ability to soothe those hurts, homing in on the source of the pain. More good news. The bad news is that you could choose to remain forever protected within the safe (and invisible!) role of the Healer, the Counselor, or the Wise One. With the Sun in Cancer, you feed your solar vitality by finding a role in the world in which you address the hurt in the lives of other beings. You become a nurturer or a healer of some sort. You also need to make sure that you have enough real intimacy and quiet, private time to “nurture the nurturer” — yourself, in other words. Like the crab, you’re a vulnerable creature who’s evolved a shell. That’s fine and necessary. But again like the crab, you must eventually shed your shell and grow a larger, more inclusive one, or you’ll be awfully cramped. 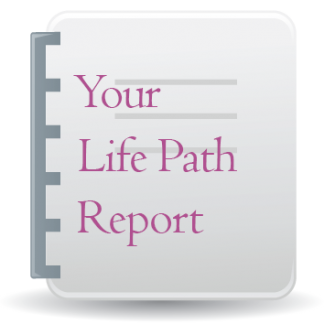 We can take our analysis of your natal Sun a step further. When you were born, that solar light illuminated the Sixth house. What does that signify? Start by realizing that Houses represent twelve basic arenas of life. There’s a House of Marriage, for example, and a House of Career. Always, we find an element of “fate” in our House structures; the “Hand of God” continually presents us with existential and moral questions connected with our emphasized Houses. How we react and what we learn — or fail to learn — is our own business. One brief technical note: Sometimes the Sun, the Moon, or a planet lies near the end of the House. We then say it’s “conjunct the cusp” of the subsequent House, and interpret it as though it were a little further along… in the next House, in other words. Craft, responsibility, the joy of competence — that’s Sixth House territory. Traditionally, it’s the House of Servants. The label still works — provided you recognize that it’s not your butlers and chambermaids we’re discussing here! You’re the servant, and that’s not nearly as bad as it sounds. There’s a myth in our culture that encourages us to believe everyone is automatically depressed on Monday morning, happy on Friday afternoon, ecstatic ’til Sunday around dinner time, then crashes down into the pits again come Monday. Don’t believe it! With a Teacher in the Sixth House, you’ve got a good shot at shattering the myth, at least for yourself. A big part of you likes to work, enjoys being good at something, prefers to be useful. The trick lies in finding the right crafts, skills, and responsibilities. Let’s let the Teacher speak. With the Sun in the Sixth House, you’re a hard worker, a responsible person who’ll keep promises and fulfill contracts. The trick lies in making sure they’re the right promises and the right contracts! Finding the crafts and skills that express your spirit is perhaps the central challenge of your life. Dignity and self-respect for you lie squarely in the world of work. To feel good about yourself, you must achieve excellence. And that revolves around self-discipline, humility, and locating worthy teachers… and has nothing at all to do with whether you get your face in People magazine! The next step in our journey through your birthchart carries us to the Moon. As you might expect, Luna resonates with the magical, emotional sides of your psyche. It represents your mood, averaged over a lifetime. As the heart’s teacher, it tells you how to feel comfortable, how to meet your deepest needs. While the Sun lets you know what kinds of experiences and relationships help you feel sane, the Moon is concerned with another piece of the puzzle: feeling happy. When you were born, the Moon was in Libra.